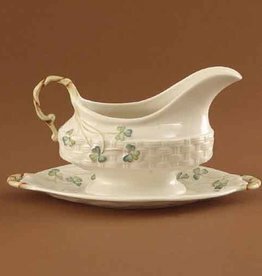 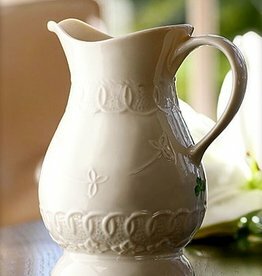 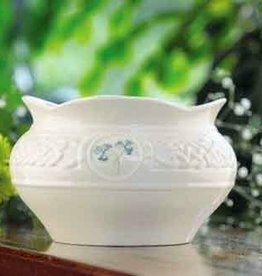 This lovely 5" Parian China pitcher is dishwasher and microwave safe. 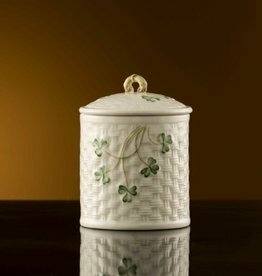 Featuring an exclusive back stamp and designer signature. 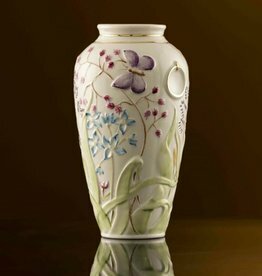 Signed & Dated, 5.75” Diameter. 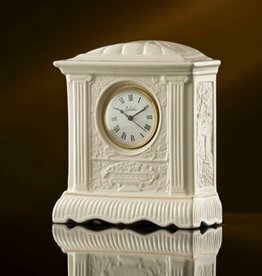 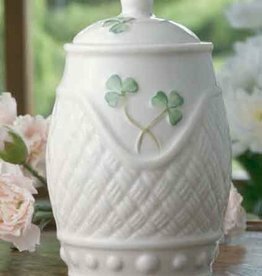 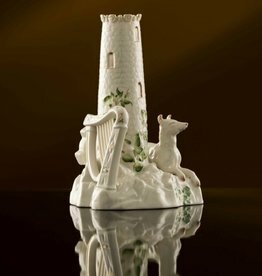 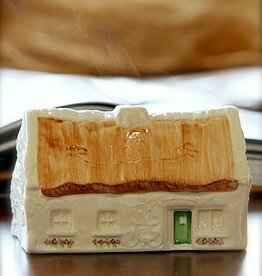 Gift Boxed, Hand Crafted and Hand Painted in Belleek Ireland. 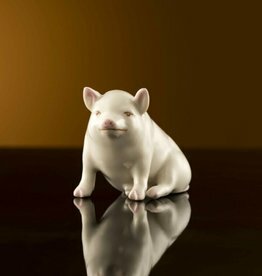 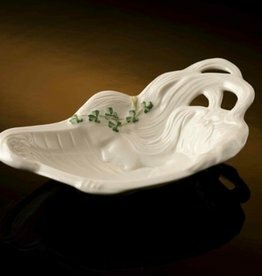 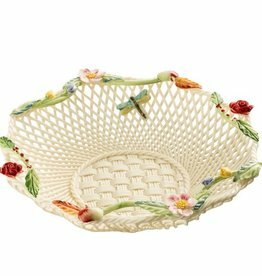 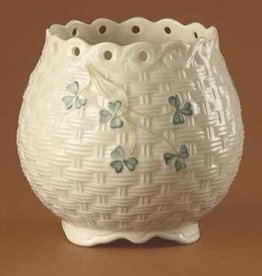 A lovely 5” Parian China covered piece in the iconic basket weave pattern. 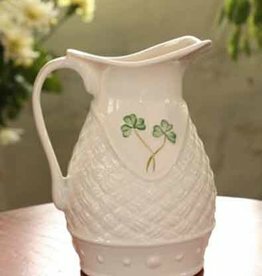 Features an exclusive back stamp and designer signature. 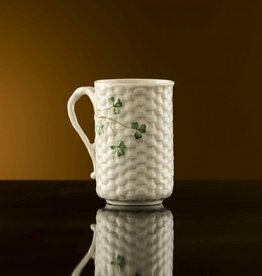 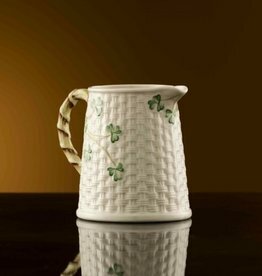 The Celtic Lace Pitcher takes its inspiration from ancient Celtic design and the delicate handcraft of Irish lace-making, combining themes found in both add to its distinctive decorative look. 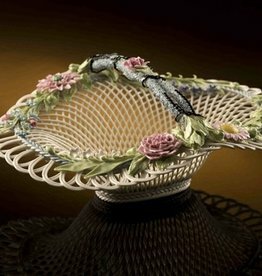 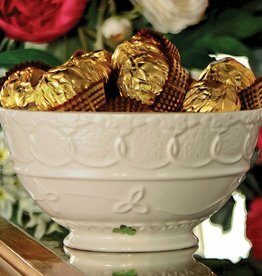 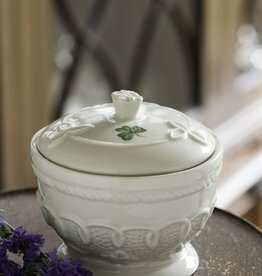 The Celtic Lace 6” Bowl takes its inspiration from ancient Celtic design and the delicate handcraft of Irish lace-making, combining themes found in both add to its distinctive decorative look.